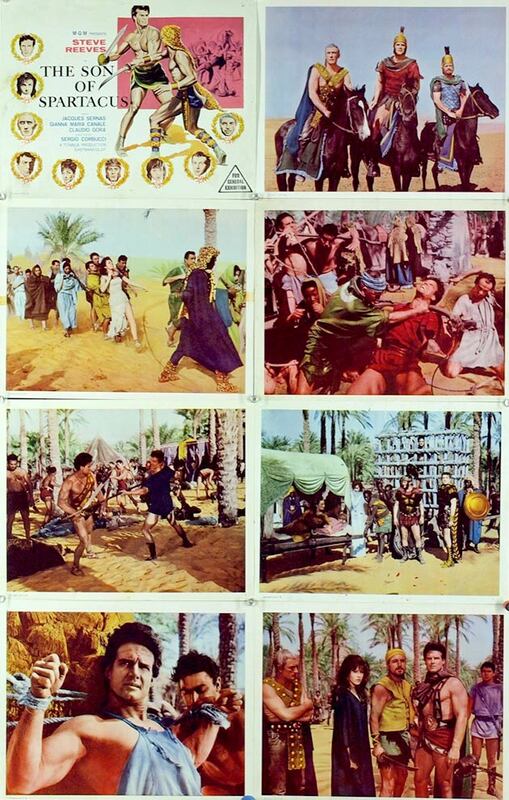 Australian lobby cards set of THE SON OF SPARTACUS. Not bad but could have been better. If I'd seen this set in the lobby of a movie theatre it would give me the impression that the film took place in one setting. There are too many important scenes missing, including interior scenes.